Hi, I’m AJ Hoge and welcome to a new webinar series. Now for those of you don’t know, what is a webinar? Well, webinar comes from two English words. One is web, as in the internet, right, the worldwide web. And then the other word is seminar. A seminar is kind of a class or a series of classes. So we put those words together, a webinar is an online class. So these are little mini-webinars, little mini-classes, little mini-lessons about different topics. And I call those webinars and it’s a general word that a lot of people, especially online business and online teachers, use, webinar. So welcome to this webinar. This is actually the beginning of a series of webinars. You’re going to get 7 or 8 of these free webinars. And each webinar will come to you in email, I’ll send you an email. And in the email there’ll be a short description of the topic and it’ll be a link. You’ll click the link, you’ll go to a page where you’ll see the video. And you can also download the text for each video. So if you don’t understand something I’m saying, there’s some new vocabulary words, for example, or I’m talking too fast. You can also read along and you can use your dictionary to find new words and things. So I want you to understand everything in each of these webinars. So what’s the topic? What’s the topic of this Webinar series? Well, the topic is the 7 essential steps for change and leadership, the 7 essential steps for change and leadership. And these are my 7 steps for changing anything in your life, for making any kind of big improvement, for example, making a big improvement in your English speaking. But it can used for anything. These steps can be used for anything in your life. Anything you want to improve or change. And they’re also steps that you can use if you’re trying to lead other people. So, for example, I use these steps when I teach, when I’m doing a seminar or when I’m teaching you. I actually use each of the steps that I’m going to teach you over the next several weeks. Now how’s this going to work? Well, what’s going to happen is I’m going to send you an email with a link to the webinars. And each email, each video, will be on one step. So today is Step 1, the first essential step for change and leadership. And then, of course, the next one will be Step 2, Step 3, you get the idea. Alright. So let’s go straight to Step Number 1. What is Step Number 1, the first step? So you want to change something in your life. 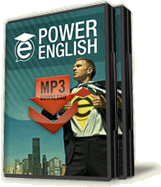 Let’s say you want to become a perfect native speaker of English. You want to sound just like me. Or you want to sound just like…I don’t know…Obama or whoever. Pick some American or British person or Australian person, someone who was born in that country. Maybe that’s your dream, to speak fantastic incredible English. Or maybe your goal is not quite that high. You just want to speak easily and automatically and understandably. Okay, everybody doesn’t need to sound exactly like a North American, for example. It’s okay if you have a slight accent. As long as everyone understands you, that’s fine. So whatever your goal is, you’re here and you want to get here. Maybe it’s with your physical health. Maybe it’s with your relationships, business, your career, it doesn’t matter. So I’m going to teach you 7 steps to sort of help you make those changes. And today is Step Number 1, the very first thing you must do. And this step, you’re probably not going to expect, it’s going to seem strange in the beginning. So the first step is to develop your personal energy and health, personal energy and health. What does that have to do with, for example, improving your English? Why do you need to improve your health and your energy level in order to make big improvements in your English or anything else in your life? Well, the reason is simple. Change requires energy. Leadership requires energy. If you’re fatigued and tired all the time, are you really going to feel like studying English a lot? Listening to a lot of English, reading a lot of English…probably not. I know I have had that problem in the past and I usually didn’t want to go and start studying a lot, or working at anything difficult. Right? When you’re tired on the time you don’t have energy to make a change. You tend to just keep doing the same thing every day, day after day. To change, to make big changes in your life it requires a lot of energy. You need energy to break old habits. You need energy to establish and create new positive strong habits. You need energy to overcome difficulty. Sometimes you’re going to face difficulties. Sometimes you’re not going to feel like doing something that you really need and want to do. And if you have the energy, you can make yourself do it. But if you’re tired, you can’t, or you won’t probably. So energy is vitally important. Okay, when I started this company, Effortless English, if I’d been tired all the time, I never would have done it. I was already working a job and I had to come home from my job and record lessons. I would teach the lesson to my live students in the class. Then I’d come home and I’d record the same lesson at home. Now if I had been tired all the time I probably never would have had the energy. In fact, I have a lot of friends and family members who tell me that they want to start their own business. They’re always saying “AJ, oh it’s so great. You have this successful business. I want to start my own business.” And I always say “Great! Do it!” But the problem is they’re all tired. Oh I’m just…oh I work so much…oh I’m kind of tired. They don’t do it. And the number 1 reason is that they can’t even get past the first step. They’re just tired all the time. Change requires energy. This is the beginning point, the first thing you must do. Another point, if you need to lead people, if you need to teach people you have to have energy. People follow energy. If, for example, I was teaching you and all my webinars and all my free videos I send you and all my lessons, if I was just kind of tired all the time and I just said “Ah, welcome to Effortless English. Welcome to Learn Real English. So today we’re going to talk about grammar…” You wouldn’t bewatching me now. You probably wouldn’t be getting these emails, right? Because why do you do it? You want the energy. You are attracted to energy. First and foremost, my first number 1 secret as a teacher is I am very, very, very energetic. Right now I’m actually very calm. If you come to seminar sometime, a live event, I am a crazy man. I am jumping around. We are playing loud music. I’m running around my classroom. I have tons of energy. I have more energy than any student in the room. Because of that I never have problems with my students. They are all focused on me all the time, right? If you’re leading people, people tend to be attracted to, tend to focus on the person with the most energy. You see this with kids a lot. If you’re teaching children and you’re tired, you are screwed. And screwed means you’re in big trouble, right? If you’re tired and you’re trying to teach children who are very energetic, they’re going to be running around going crazy and, oh, sit down. It’s not good. Teachers who teach children have to be able to have a lot of energy and, of course, they have to be able to calm down the children, too. So the point is, if you want to be a leader, if you want to teach people, if you want to be a leader in any part of your life, whether you’re a parent or in your business or in your job, you’ve got to have energy. Energy is really the foundation. It’s the beginning, the core for all change. It all starts with having a lot of energy. I make a lot of changes in my life. I try lots and lots of new things. I started one company with Effortless English. I started another company with Learn Real English with my friends. And I’m getting reach to start yet another company. So how do I do it all? It’s because I have tons of energy…tons of physical energy, tons of mental energy, tons of emotional energy. So I have all energy. I have that engine and it powers everything else I do. If I was tired all the time I could never do any of it. So that’s the number 1 first step then, is what? Is to develop your energy level, to increase your energy level. And that really means first and foremost your physical energy because that’s where it all starts. It means getting healthy. And that’s a whole different topic by itself. I could talk hours and hours about how to be healthier. But you know a lot of the basic things. You know you shouldn’t be eating junk food. You know you should be out there doing some kind of exercise. And you know you should be eating more vegetables. Those three simple changes would make a huge difference in your energy level, just that. So start there. And then if you join and get our lessons you’ll learn more techniques for improving your energy level at a physical level and getting much healthier. And, of course, as you get healthier you’re going to find that your mental energy increases. You’re just able to think more and do more. You’re more creative. And your emotional energy increases, your positive emotional energy. You’ll feel happier, more enthusiastic, more passionate about things. That’s the engine, right? That’s the engine that affects everything else in your life. It powers everything else in your life. Any change you want, whether it’s improving your English speaking or being a great leader or making more money. It doesn’t matter what it is. You’ve got to start with the energy. So Step 1, the first essential step in this series is what? Develop and increase your personal energy and health. Alright. In the next webinar I’ll teach you Step Number 2. But for now focus on Step Number 1. Start thinking about how you can get healthier, how you can start increasing your energy level so that you have the energy and you have the power to make the changes that you want to make. You’ve got to have that power first. Then you can use the other steps to really make big positive amazing changes. Okay. I will see you for the next step in the next webinar. Have a great day. Excellente! Great point for a great improvement. Thanks AJ. I've never found such great, natural American conversation. I love your site. A.J i've learned from you definitely thank you. My name sara from Iraq. My name is Zakir. I'm from Jeddah, Saudi Arabia. I love to watch and listen to your videos. Thanks a lot AJ.